I would Vote this car for The Car of The Month..
i like these cars too, i love the brand new models. They must have got them in the short window when motorex imported them "legally". 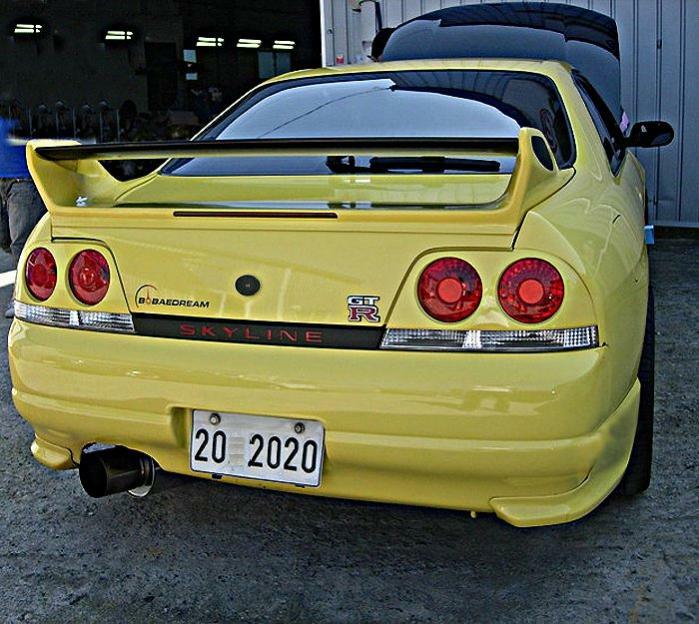 Beginning with the V35 version of the Skyline (2003), they HAVE been available here. Infinity G35. Not quite the same prestige. The legal R33s go for about 45,000. I have seen some R34s with license plates and inspection stickers but who knows how they did that. There is a law that for any imported car to be street legal, it has to be crash tested in the U.S. It is said that a company crash tested the R33 and it was rumored that the R34 had the same or very similar chassis as the R33, so people actually got away with legally driving R34s, but now the NHTSA is found out they are different chassis and are cracking down on R34's being driven on U.S. public roads. One could always run with the r35 which is legal in the states. you could always grab a 1996 240 sx and a maxima front end and an rb26dett with trans. put them all together and you can have an awd skyline powered 240 that can be dressed up like a skyline...and you can get insurance on it too! I have only seen a project like that completed once. very cool, lots of money though. Quick Reply: ^ I Know It's Not A Honda^...But If It Was!